In our energy conscious world, much has been written about R values and net zero energy buildings. People differ on the methods and timeline for achieving environmental sustainability. However, most of us understand that reducing carbon gasses from fossil fuels needs to be a priority. One important step in this direction is ensuring that your home or commercial building has a tight building envelope. According to Wikipedia, the building envelope “is all of the elements of the outer shell that maintain a dry, heated, or cooled indoor environment and facilitate its climate control.” It is the system of components that protects against movement of air, moisture and heat. Or to put it another way, the physical construction that separates the conditioned areas inside a building from the unconditioned areas outside of the building. Contractors and builders pay attention to the building envelope during construction when they work to eliminate openings in the foundation, walls, and roof. The air barrier system within a building envelope is a critically important element for economic control of moisture, temperature regulation, and for preserving structural integrity. An inadequate barrier system will allow leakage of air through holes, cracks, and gaps. The end result is movement of air, moisture and heat between the conditioned and unconditioned environments. An inadequate barrier system will allow heat to flow through the home and between its surroundings by conduction, convection and radiation. Simply stated, heat will always flow from hot to cold resulting in increased energy costs wherever an inadequate barrier system is present. When this occurs, rain, groundwater, and moisture vapor cause deterioration in the building’s structure. Uncontrolled air flow makes it too cold in the winter and too hot in the summer. We become uncomfortable in our own homes. If you regularly describe your home as “too drafty”, your building envelope is probably not “tight” enough. A tight building envelope provides numerous benefits including a higher level of personal comfort, energy savings, cost savings, pest control, and fewer expensive repairs from moisture damage. The more airtight the building, the less energy it will use and the lower the cost will be for the property owners or their tenants. 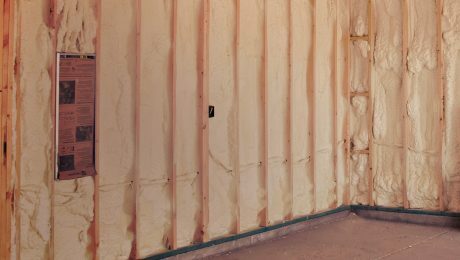 What role does spray foam insulation play? Spray foam insulation contributes to a better performing building envelope by completely sealing any gaps and crevices. This prevents air infiltration, moisture infiltration, and the intrusion of dirt and pollutants from the outdoors. The air barrier system of spray foam insulation is a critically important element for economic control of heat transfer. An inadequate barrier system will allow leakage of air through holes, leaks, cracks and gaps. This allows heat to flow through the structure and between its surroundings. Versi-Foam provides an excellent barrier system that saves both money and energy. It provides a better, longer lasting seal than other sealing products. It’s good for the environment. The energy loss from air leakage can be as much 40% in the average home. Spray foam insulation saves energy and reduces the use of fossil fuels, thereby helping to reduce global warming gasses. It absorbs noise from the outside and inhibits the transfer of sound between rooms. It’s the insulator of choice for house flippers such as The Property Brothers and Joanna Gaines. Use Versi-Foam spray foam insulation to seal and insulate around those leaky windows, doors, attics and other areas in your home. Your home or place of business will be healthier and last longer. And you will feel better and spend less money. Today we are very pleased and excited to announce the recent launch of our brand new Versi-Foam website. The new site highlights each product in the Versi-Foam line and makes product information easier to find and understand. Richard Heitzer founded Versi-Foam in 1981 after he developed the patented U-Control dispenser. The dispenser allows you to regulate the quantity and rate of spray foam insulation being dispensed. Today Versi-Foam is used in dozens of applications including residential and commercial construction, marine flotation, movie props, cold storage, and vehicle insulation. The “Spray It, Don’t Pay It” Foam Insulation Calculator. Use this tool to accurately estimate the amount of spray foam you will need for your project. First, enter values for foam density, foam thickness, and square footage. Then click the “calculate” button to see how many Versi-Foam spray kits you need to complete your job. Our “Pull The Trigger Now” Dealer Locator. Use our interactive map to find the Versi-Foam dealer closest to you, or search by state or county. “Check Out The Tech Specs” is a new page that combines all our technical specification literature in one convenient location. For some products we have safety sheets available in both English and Spanish. The Versi-Foam Video Collection. Here you can find how-to, trouble-shooting, and safety videos, as well as a Versi-Foam product overview. We invite you to explore the entire Versi-Foam website. We believe you will find it easier to navigate, easier to understand, and easier to find exactly what you’re looking for. 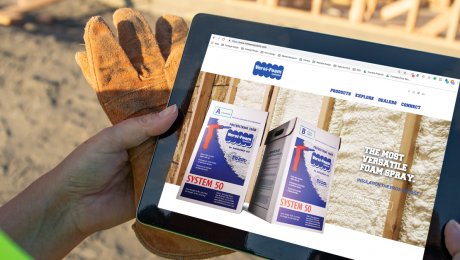 Among spray foam insulation products, Versi-Foam is the easiest to use, the fastest to apply, and the most portable solution. You don’t need an outside source of pressure or power. In addition, the patented dispensing gun is able to seal awkward spaces quickly and easily. 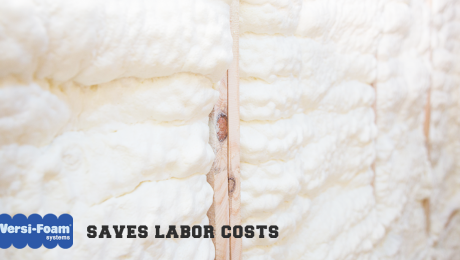 These features reduce the amount of time it takes to complete an insulation job. Every business that wants to stay in business must make a profit. Once you’ve been awarded a job, it’s important to complete the work cost effectively so that you can earn a profit. Accordingly, Versi-Foam helps you by reducing the cost of labor and the cost of unproductive downtime with our simple 5-step application process. Step 1: Turn the tank valves to the on position. Step 2: Click one of the nozzles into place on the dispensing gun. Step 3: Disengage the safety. Step 4: Point the dispensing gun at your spray foam target. Step 5: Pull back on the handle and dispense the foam insulation. 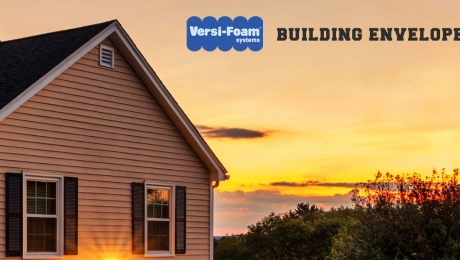 Whether you’re working on a large construction build or a smaller home project, applying Versi-Foam is just as easy as that. Versi-Foam spray foam insulation kits are the most dependable solution for money-saving residential and commercial insulation projects. Labor is the highest cost of any project. Using Veris-Foam spray insulation will increase the productivity of your workers and your bottom line. Effective sound dampening is one of the key concerns for residential and commercial construction contractors. 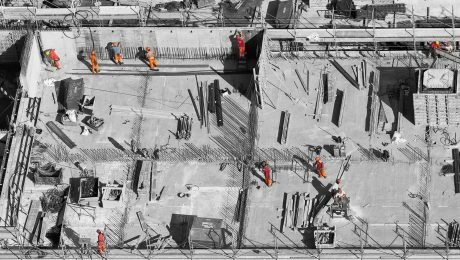 According to Grand View Research, “It has been observed that the human health and efficiency is highly related to the noise level in the work environment, which highlights the importance of sound barriers. Increasing concern for employee comfort levels has triggered the demand for noise cancelling materials in commercial buildings.” They expect foam to dominate the industry through 2025. In addition to comfort level and needing a quiet place to work, some professions require confidentiality and the assurance that their conversations will not be overheard. Protecting occupants from noise intrusion is a growing part of both the commercial construction industry and the residential construction industry. In fact, one of the recent luxury condo developments in Oconomowoc heavily promotes it’s construction methods which limit sound transfer between units. 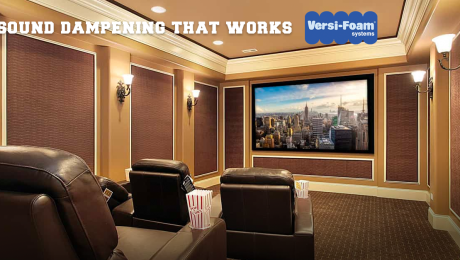 Versi-Foam® open cell formation spray foam is a cost effective, efficient way to dampen sound. It creates a barrier which absorbs noise, inhibits the transfer of sound between rooms and reduces noise that enters the building from the outside. The spray foam works because sound is airborne and the foam reduces the air space through which the sound can travel. This brings value to the building for the end user. The additional value can be expected to increase revenue for both the owner and the contractor. Finding the right low pressure spray foam insulation kit for your residential or commercial construction project is key to the health and satisfaction of your clients. To locate a distributor or receive more product information, call us today at 1-800-657-0702 or contact us here online. The United States Department of Transportation has a new shipping classification for the Versi-Foam low-pressure spray polyurethane foam systems. The prior product description fell under: UN1956 Compressed Gas, N.O.S. (Fluorinated Hydrocarbon, Nitrogen). The new product classification for shipping by all modes of transportation (road, air, and vessel) will be as follows: UN3500 Chemical Under Pressure, N.O.S. (Fluorinated Hydrocarbon, Nitrogen). As part of these regulatory changes, additional packaging requirements dictate that “the cylinders must not be offered for transport when connected with spray application equipment such as a hose and wand assembly.” Beginning May 1, 2014 all Versi-Foam medium size kits (9, 9SR, CL9, 15, 15SR, CL15, 10, 31) will be shipped with the gun/hose assembly detached within the box, rather than already attached to the tanks. Going forward, each medium size kit will be equipped with a wrench for the user to properly secure the hose fittings to the tanks. Never store Versi-Foam® products in temperatures lower than 40°F (5°C). Storing at these temperatures may cause the chemicals to freeze. If the “A” component freezes, it will crystallize, creating blockages in the dispenser. Once this occurs, it cannot be fixed. Always warm the chemicals to a temperature between 65°F to 90°F(18°C to 32°C) before using. Refer to the temperature sensing strip to be sure it is well within the green zone. During application, continue to monitor the temperature strip. If it begins to move toward the blue zone, warm the chemicals again. Cooler chemicals will result in foam that is “A” rich, which will be darker in color and have a crunchy surface. Bring your Versi-Foam kits into a warm/conditioned space for at least 24 hours prior to using. After warming the chemicals, be sure to shake the tanks well to ensure a uniform temperature throughout. Always warm the surface onto which you are applying the foam to a temperature between 65°F to 90°F (18°C to 32°C). Colder surface temperatures may result in adhesion problems and reduced yields.